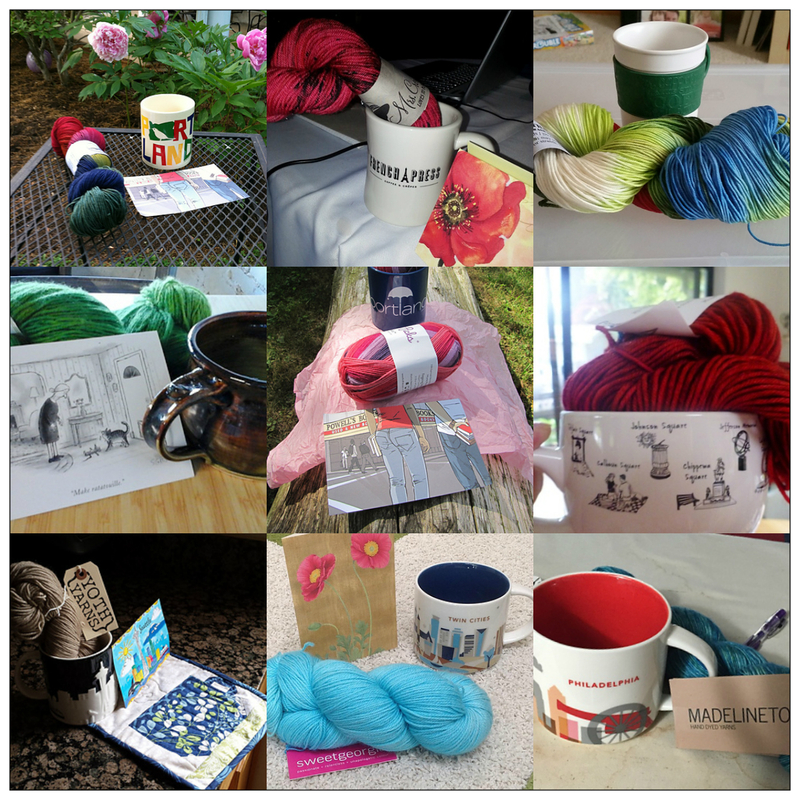 As I mentioned yesterday (Leap Year Giveaway), we are having a series of giveaways in my Ravelry group, culminating with a large giveaway basket when The Cafe thread reaches 5,000 posts. I’m working on gathering the large prize, but in the meantime, I promised to post a picture of the current smaller giveaway prize. 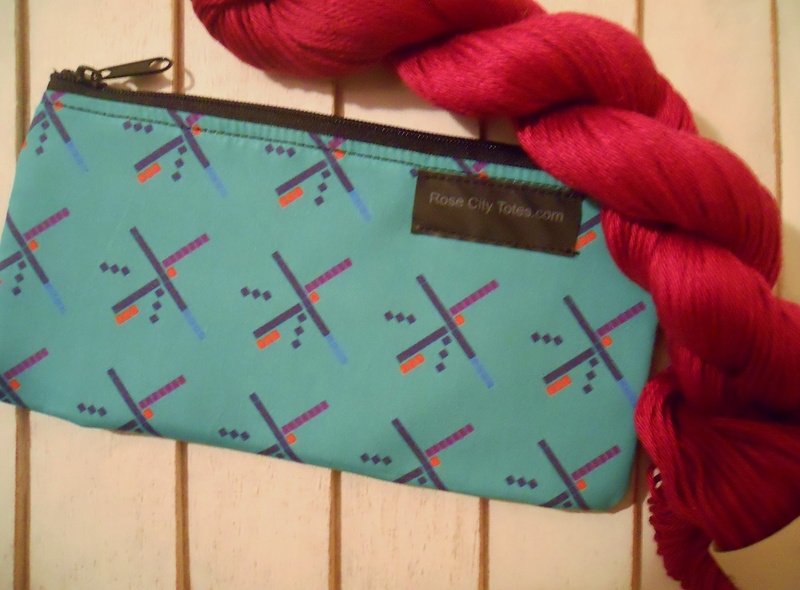 Sometime this weekend, I will choose a winner via random number generator for this great PDX carpet print notions bag and a skein of Cascade Ultra Pima Cotton Fine in a pretty raspberry color. The SRG team [designers of the PDX Airport carpet] wanted the carpet to be northwest to the core, so they settled on blues and greens early on in the design phase. The final pattern corresponded to Portland’s intersecting North-South runways, as seen from the control tower. I do love the PDX carpet design!!! How sweet and generous of you. Aww…it’s fun and I enjoy it!